My new job has kept me pretty busy during the holiday season. Today we got a taste of what Canadian winters used to be like. More Graphics are coming. Today we got 10 inches of snow in Toronto, on top of the previous 20. Its so pretty but man is it cold out there. 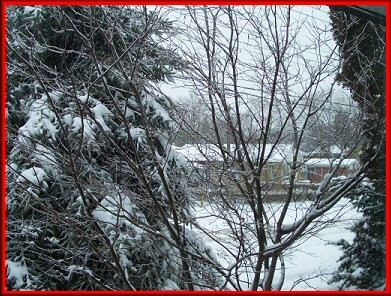 The picture above was taken out my front window before the big snow fall. At least when it snows it gets a bit warmer. The minus 30 degree weather is just crazy!! Of course white outs make driving around the city interesting. Guess you can't have it all. Time for a vacation.